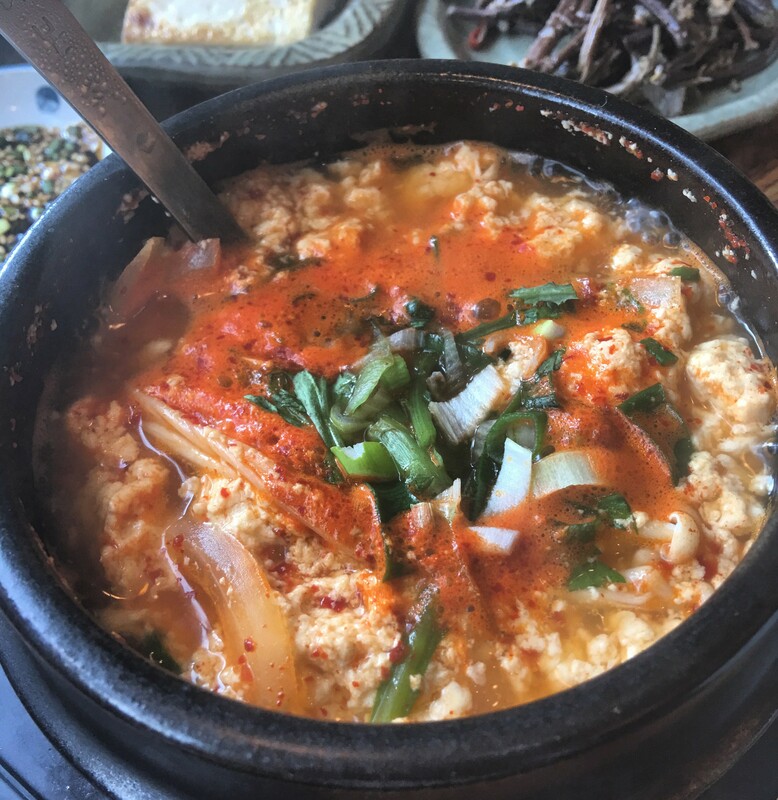 As most of you know, one of most favorite Korean foods is Sundubu-jigae. They do it great in parts of the world, but nowhere better than in the home country. 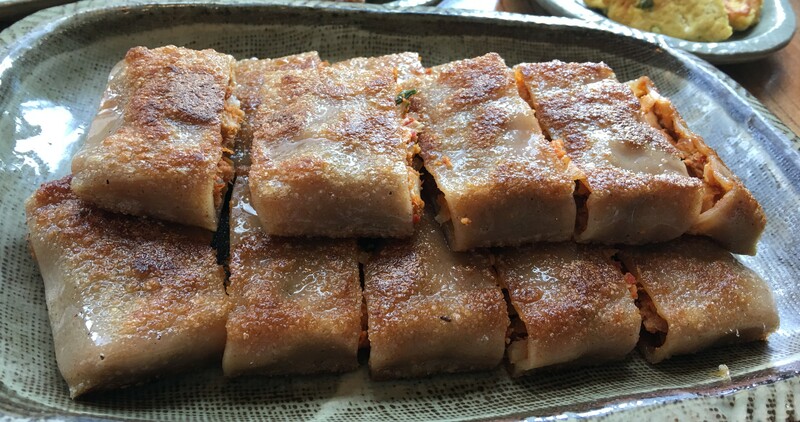 In Yonging, 두부마당 specializes in Sudubu-jigae. Yum. We started off with a nice Pancake with some Kimchi Japchae inside. Quite nice. 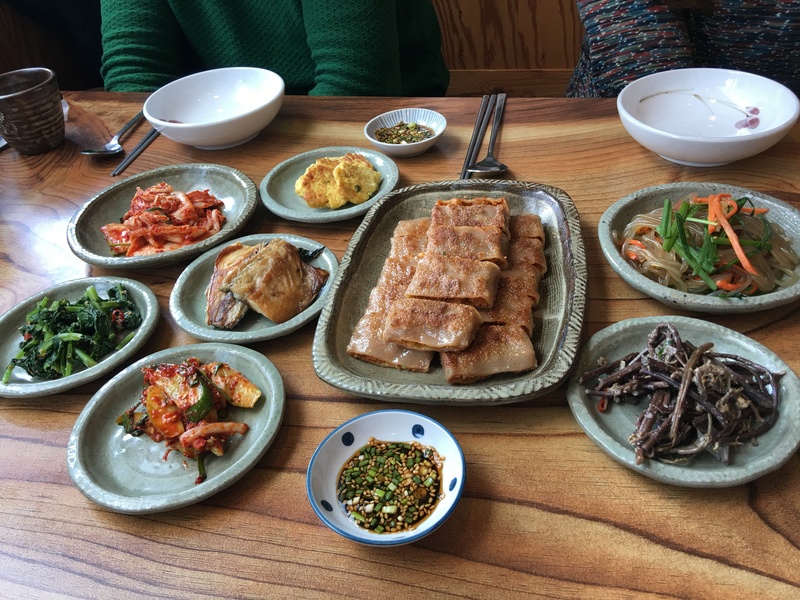 Here is all the banchan. And of course, my Sundubu-jigae. So nice on a cold day. Just a bowl of goodness! Posted in SundubuTagged Korea, SundubuBookmark the permalink.